‘Gwang Hae’ became the third most popular Korean movie. On 12th, the cumulative number of viewers of movie ‘Gwang Hae’ went over 12,304,000, and became the 3rd most viewed Korean film. Even though a great number of Hollywood blockbuster movies and other Korean movies are being released, ‘Gwang Hae’ is still doing fairly well. 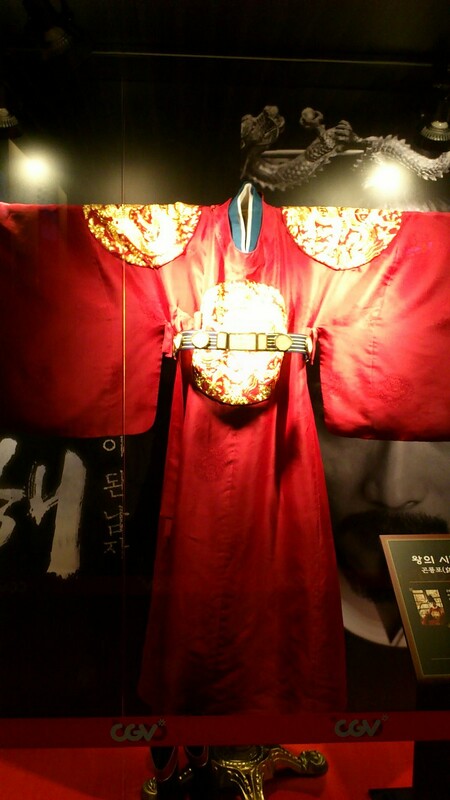 Especially, as the presidential election is coming up, the look of ‘Ha Sun’ as a great king in the movie is drawing many people’s attention. The movie was invited to a great number of international film festivals, and even though it’s been 14 weeks since it was released, the popularity seems to be not cooling down at all. 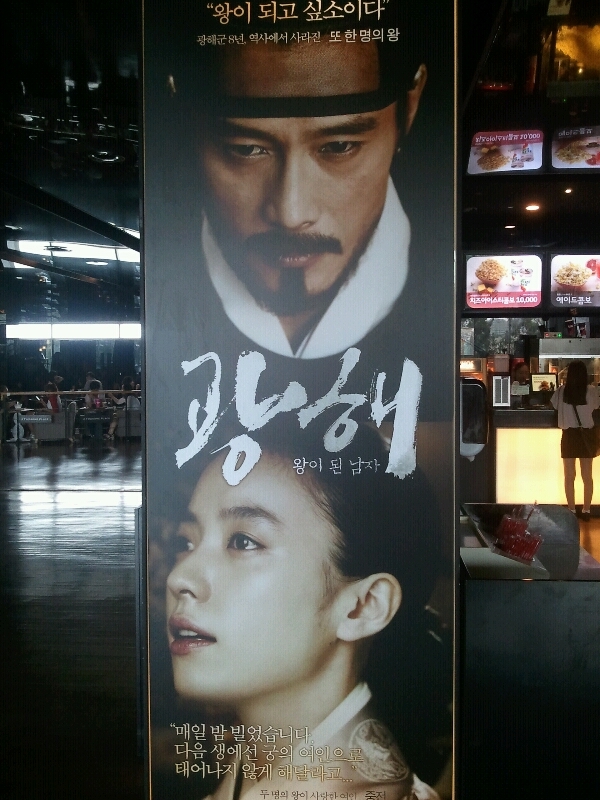 Masquerade has become the fifth most popular Korean film ever recorded. According to the Korean Film Council’s theater admissions database, Masquerade drew 272,736 on the weekend of 2-4th November, bringing its total admissions to 11,418,849. Masquerade has grabbed the fifth spot, surpassing Haeundae which drew 11.39 million in 2009. Attention is now focused on whether Masquerade will break the record set by Taegukgi which brought in 11.75 million, to ascend to the number 4 position. Meanwhile A Werewolf Boy was number one at the box office during its first week of release, drawing 1.3 million admissions. The film drew 420,000 on the Sunday November 4th, bringing its total so far to 1,294,473, 5 days after release. The figure is nearly twice that of Architecture 101 which took 715,580 in its first week and All About My Wife which brought in 781,253, carrying on the torch for the melodrama genre in Korean cinema. 2012 has been a bumper year for Korean film and “Masquerade,” released under the Korean title “Gwanghae,” dominated Korea’s version of the Oscar Awards. “Gwanghae,” which stars Lee Byung-hun scooped up the Best Picture Award at the 49th Daejong Film Awards with Lee also winning Best Actor. The motion picture attracted roughly 11-million moviegoers within two months of its release and won 15 prizes total. Kim Ki-Duk’s “Pieta,” which won the Golden Lion Award at Venice Film Festival, won two trophies — the special award from the panels and the Best Actress award for Jo Min-su . 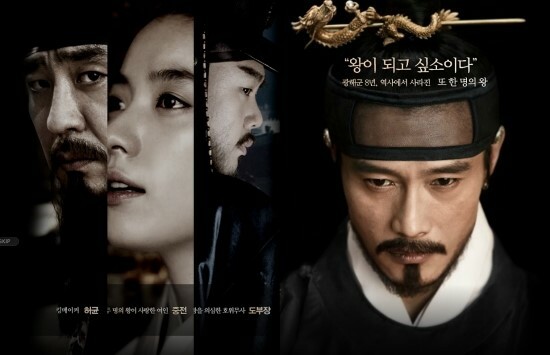 The period movie “Gwanghae,” featuring Lee Byung-hun, has become the sixth- most-watched Korean film to date. According to Korea Film Council on Oct. 31, just a day earlier, the current hit flick exceeded 11,042,033 views after just 48 days since opening. By doing so the film took over “Silmido” (2003) which has maintained the sixth spot on the most watched Korean films ranking. CJ Entertainment said that its latest offering exceeded the 11 million mark six days earlier than “The King and the Clown” did in 2005 and that it expects big things from the film. Meanwhile the film also received props from industry insiders at the 49th Daejong Film Awards on Oct. 30. It swept the awards show clean with some 15 prizes from Best Work, Best Director and Best Actor. A costume drama about a stand-in monarch has swept South Korea’s domestic Oscars, winning 15 of the 23 awards up for grabs, including best film. “Gwanghae: The Man Who Became King” — distributed internationally under the title “Masquerade” — also won a best actor gong for its star Lee Byung-Hun at the annual Daejong (Grand Bell) Film Awards on Tuesday night. Lee won for his dual role as King Gwanghae, the 15th ruler of Korea’s Joseon Dynasty (1392-1910), and the humble acrobat Hasun, who stands in for the monarch when he faces the threat of being poisoned. The local costume drama “Gwanghae: the Man Who Became the King” scored a knockout victory at the South Korean “Oscar awards” for this year on Tuesday, claiming best picture and 14 other trophies. The box-office hit about King Gwanghae, the 15th ruler of Korea’s last kingdom, the Joseon Dynasty (1392-1910) was given the best picture award at the 49th Daejong (Grand Bell) Film Awards.